Thinking about automation? We can help with the complete process from concept through design, install and completion. Got a delivery, let the home or office notify you, allowing you to view the delivery person via a camera, give instructions, open the outer door or garage, watch the delivery being safely stored in the secure area, then lock up afterwards. The concept of automation is only limited by your imagination. By using the latest technology, we can automate lighting circuits, so that the luminaires or only on when required, saving on cost, lamp longevity, maintenance costs and your carbon footprint. 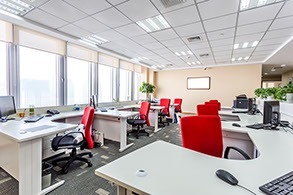 This can be done in various ways, such as the use of Occupancy sensors, these sensors can be wall or ceiling mounted, ceiling recessed sensors or individually connected to existing light fittings. The sensors can be infra red, microwave or a combination. What ever your problem, we will be able to help. Some of theses sensors can be programmed for daylight harvesting. This is where the lights will dim according to the amount of natural daylight that enters the building, so when it is very sunny they will be on for a percentage of their light level, for example 5%, then when the light falls they increase accordingly up to 100% after dusk. Once the preserve of the wealthy with miles of cables run throughout the property, home automation can now start as a retrofit twin socket or light switch. These simple basic units work wirelessly via a hub and can work with the likes of Alexa and Google. For the more upmarket and technical system we can install a bus system with dimming modules touch screens and sensors, such as C-Bus, Lutron and Lexhome. Integrated with the music system to stream around the home, or the alarm system with an all off and secure mode. A sun sensor can be fitted, controlling curtains. As the sun moves across the sky, curtains can be opened and closed to prevent UV light fading wood or fabrics in the room. 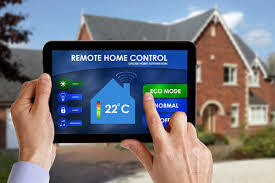 What ever your requirements a smart home can be left to run various aspects, whether it is lighting, heating controls or security.